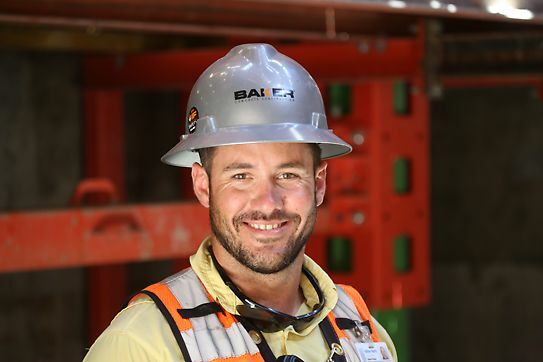 The 48-story Solitair residential tower being constructed in Miami’s flourishing Brickell neighborhood will include more than 400 luxury units, seven levels of parking, and 4,500 ft2 of ground level retail. Designed by Jonathan Cardello of ADD, the building’s distinctive pattern of zigzag balconies is reminiscent of the palm tree. Using PERI’s ACS Core 400 automatic climbing system is enabling contractor Baker Concrete Construction to maintain quick cycle times without relying on the crane. 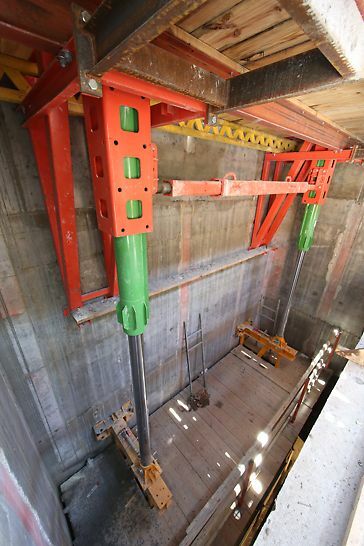 The ACS Core 400 system features synchronous operation of its long-stroke, high capacity hydraulic cylinders that allows the formwork to be moved from one level to the next in a single step with no time-consuming intermediate strokes. 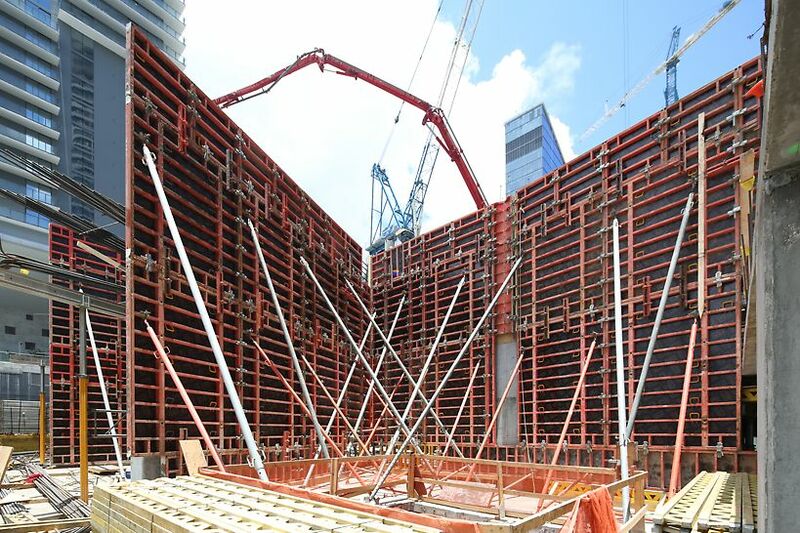 Baker is using VARIO Formwork for walls and columns. 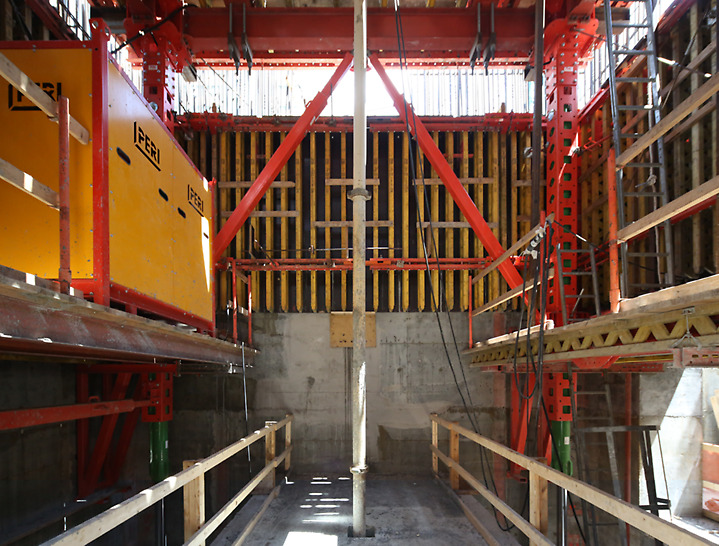 PERI UP Shoring and VARIO and TRIO Formwork were used to construct the beam and slab at the transfer level, which is above the parking decks on levels two through eight. 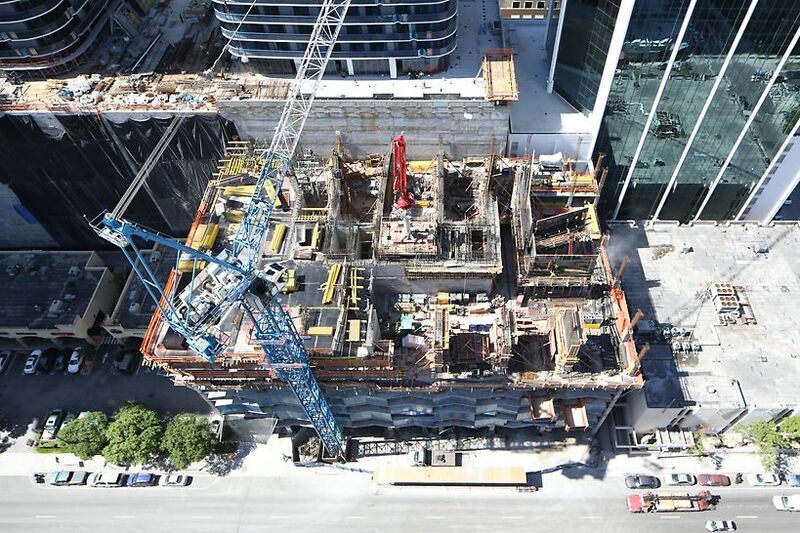 PERI UP Shoring also was used for the level two slab support, creating large open bays of usable space even while the shoring was being erected for a safer, faster operation than traditional high load scaffolding. The ACS Core 400 has been reliable, easy to use, and a key component in reducing crane time on the job. 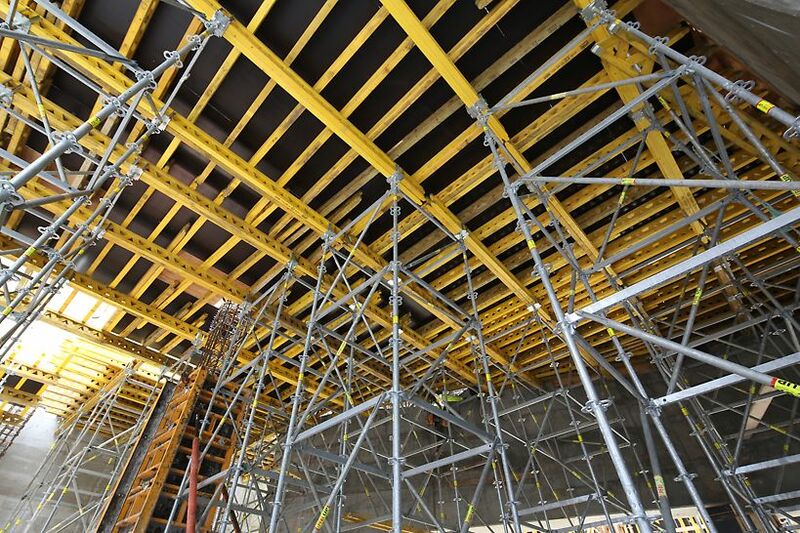 PERI Formwork has helped us make our schedule throughout the project with faster and user friendly systems.